Unfair GW matchups....on NODE ONE!!! Nope, I didn’t stand a chance. I am not a pro and when I started to play the game didn’t know anything about it. My usual team is Princess Leia, luke, JC, Zaalbar and QGJ. With this team I won 12 GW. Characters often have additional bonuses when used with others of the same faction - Scoundrel, Jedi etc. That is especially true for leader abilities. A strong team starts with a strong leader and usually includes at least a couple of others of the same faction. Many of the strongest teams all share the same faction. You have a couple of Rebels, a couple of Jedi, a couple of First Order but no coherent faction-based squad. When I completed my first 75ish GW(basically before Bastila) I used a primary team of Luminara lead, KRU, Boba Fett, Chirrut, and Cassian. Cassian is who I got on my first chromium. I would also sub in characters like Vader, Fives, JC, Tarkin, Royal Guard(backup tank), Phasma, QGJ, Aayla, etc in the early battles to grant them turn meter. Once I got Bastila, I switched to the 5 Jedi and reorganized to First Order, Empire, Rebels, and BH team that I would get turn meter for in early battles then just roll with Jedi unless I needed another team. Took them to 150 before reaching level 80. Had that done by early-mid September. Never saw the phenomenon of these super powered teams on the wrong nodes. Sure, I had seen tough teams on battle 9, 11, or 12 but they always made sense when comparing their GP to mine. And it was usually synergy which isn't accounted for in GW. Node 1 or 4 were ALWAYS the lowest GP battles of the war, though. Many players have problems with NS teams at first. Their mechanics and how to counter it takes a bit of practice to learn. However, this NS team, which you encountered, is a weak NS team. There's no zombie, no Asajj and no zetas. Definately not impossible to beat. However, lack a good synergy team in your roster. It looks like you simply focused on random characters, or maybe just your favourites from the movies, with no real regard for their abilities and synergy. You can't blame the GW match—making for that. If you had an empire team instead — even at your level — you could have won the battle. Building a roster takes time. Now I am investing on the Phoenix squad. You can see my zeb orrelios down there. Still, I don’t think synergies will save me against these teams on the first nodes. Don’t forget that I have been playing this for 4 months. Despite having said that, in my second account I am level 43 with a Phoenix squad and have only lost one time playing the gw. This almost seems like you realized the value of developing your roster well and that you can't always blame the GW matchmaking system when you fail. At 4 months in, powering up Phoenix will set you back in the arenas and probably wont help much in GW either, as you will power them past your current squad at which point you will be encountering opponents that expose Phoenix squad's shortcomings. They are only OP in the early game. But don’t we need the Phoenix squad to get legendary characters ? The devs have to put a notice to new players saying the game should only be played by pros. 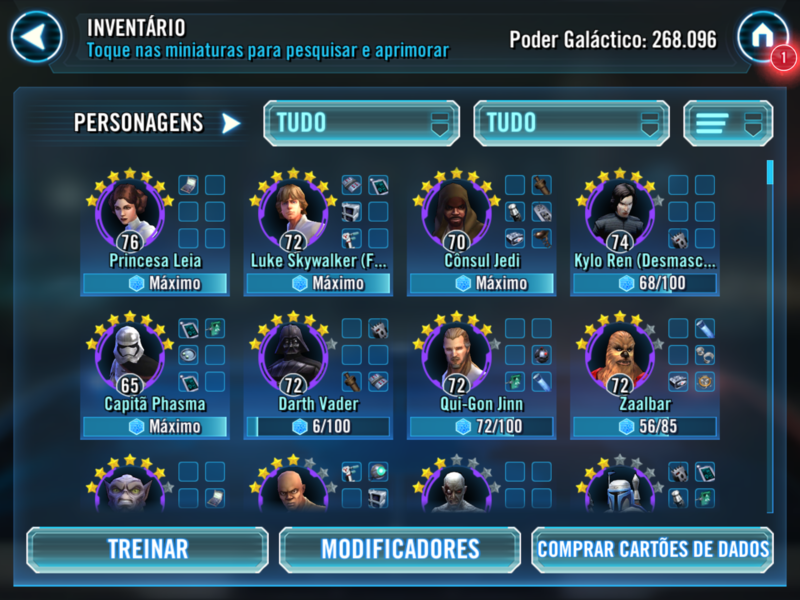 I have realized the value of developing my roster, I am blaming the GW matchmaking system in this case and I would appreciated that you offered some constructive advice rather than diminishing and ignoring this obvious lack of respect to new players. This is the feedback part. I am not expecting that the devs will change anything with this. All I am doing is sharing my experience as someone who have just started to play the game. And what I believe is that the GW matchmaking system is extremely unfair to us. There is the evidence above about my claim and it seems I am not the only one expressing this point. You need Phoenix for Thrawn who is important but it will take a lot of time and resources to get there and in the meantime you will fall further behind the rest of your arena shard. You can get Palpatine with any 5 Rebels and frankly he's a pushover. That doesn't change the fact, that I am. I am blaming the GW matchmaking system in this case and I would appreciated that you offered some constructive advice rather than diminishing and ignoring this obvious lack of respect to new players. You didn't exactly ask for advice in your comment. Yet, I gave some in my first comment on that NS team : even at your level an empire team could have won. Respect? Again, in my first comment to you I acknowledged, that it takes some time and practice to learn how NS mechanics work and how to counter it. You're still on that stage. Most of us were at some point. You're better off realizing and accepting that (like most of us did back then). Furthermore, you are better off accepting, that until you have developed a deeper roster you WILL encounter opponents in GW, for which you don't have a counter team. That's just the way it is — for everyone. All I am doing is sharing my experience as someone who have just started to play the game. And I'm sharing mine as an experienced player. And what I believe is that the GW matchmaking system is extremely unfair to us. There is the evidence above about my claim and it seems I am not the only one expressing this point. Many complaints is not proof that GW matchmaking system is always to blame. If you had farmed more empire characters, you could have beat that NS team. TFP is fast and can put up an early ability block. Tarkin can debuff the whole team and remove turnmeter. 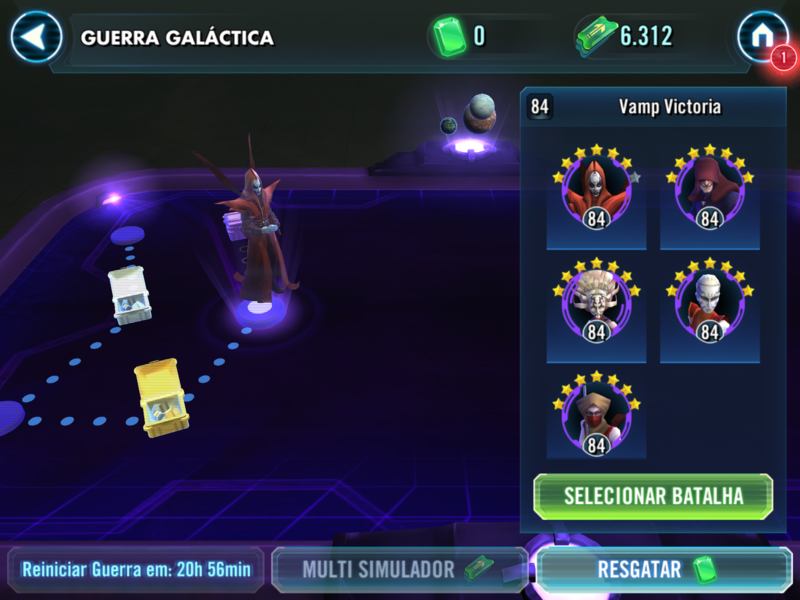 Vader can become fast in an empire team because of speed bonus. Royal guard is excellent crowd control at this stage with his stun on basic. There's only one attack that inflicts plague on that NS team. Add a healer to those 4 empire characters and you can remove plague with healing. Add a good kill order, and you're home safe. 1- we are talking about node 3. You are putting me up against that crap. At least it could be a 74 level team, that would be nice. So for you it is perfectly normal that I get matched with a team 10 levels higher than mine in node 3, fine ( I know why that happens, but it’s just messed up). But can I encounter those teams for which I don’t have a counter team AT MY LEVEL in the third node ? Or do you think that’s to much for me to be asking. 2- not only you are not being serious/taking me seriously but you also are not listening. I am listening to what you are saying and you definitely are not. Probably because you didn’t face these obstacles that I am facing. I have never got this problem when I was a level 50-60 player (still lost, but against teams that were at my level or 4,5 levels higher, on the nodes after the6th node!!!). That, my friend, was before the October game update. 3- 4 months playing I have been. If I had farmed more empire characters... I only have 4 months of this. I will take that into account and I will farm more definitely, but you can’t expect me to have that kind of roster power at my level. It’s just the way it is you will say, fine, but it’s a system that punishes new players. I really doubt that the best pro in the game could past the 6th node in the gw with a new account as things are right now. I don’t know how things were when you were at my level but I seriously doubt that you faced the same as I am facing now. 4- Even if the empire team did win I would have probably lost a lot of characters only to face another spectacular team on the next round. Then I would need a full bounty hunter team or something like that. The 4th node is easier because the 3rd node is usually harder as the same happens to the 6th 9th 11th and 12th you will probably say. Well, it seems gw changed. It used to be like that, not anymore. 5- if you still don’t acknowledge this then I ask you to get your hands on a 75 level account and see it for yourself what I am talking about. Play it for a full week. You won’t do that of course because you have more things to do with your life but if someone reads this and has a 70-75 level account then give it a try. I notice you have KRU. Gear him up and get his first special to the point where it's un-resistable (Level 6 I think) and then take out Bastila or the biggest pest with that. It'll cleanse all their buffs and remove them from the fight for a turn. And he's a pain to kill for low DPS/equal level squads you're facing. Correction: I am not putting you against anything. I am not the matchmaking algorithm, nor am I a designer. Ask whatever you want from the game designers. It's fine with me. My only point is that you COULD have beaten that team you complain about, by developing your roster differently. Wether you choose to see my answers as serious or not is all up to you. Just stop your personal attacks please. I don't acknowledge, that the opponent you complain about was unbeatable at your stage had you developed your roster a bit differently. I do acknowledge, that all players make choices along the way. I do acknowledge, that players at your stage won't have teams to counter all other types of teams and hence WILL meet opponents in GW whom they can't beat. Wether you acknowledge and accept all this is up to you. Do as you please. Personal attacks ? You consider that a personal attack ? Incredible. The only thing I accept and learned from you is that you are only interested in creating trouble and dissing everyone. I couldn’t care less about your acknowledgement. I just answered because I want the readers to see what’s happening in the gw and in case they feel the same way as me they should also express their opinion. With this said I am out, not interested in drama. Telling you, that you could have beaten that team if you had developed your roster differently != dissing everyone. However, I believe you, when you claim, that you didn't learn anything from my posts. It's past time for some transparency here. The GW algorithm has changed. Quit denying it and just tell us about it already. 1. GW matchmaking is not based on the team you use, but on your top—5 characters' stat power. It's safe to assume, that you are long past the point where the GW difficulty caps. The team you encountered doesn't look like a mismatch like those teams some others have reported. 3 of 5 characters are quite low geared. 2. CG have officially confirmed earlier this week, that they are aware of a bug in the matchmaking. This cannot be the intended battle sequence. If it is, do us the courtesy of announcing the changes. Would an answer from EA on the official forums for bug reports suffice? It isn't. That's why it is a bug, and not a change in the algorithm. If the algorithm changed, we would be getting consistent results. We aren't. Sometimes you get no OP team. Sometimes you do. And it doesn't seem to matter which battle either. Sometimes battle 1, sometimes battle 12, sometimes one in between. Though I believe a post by a dev in THIS subforum or the announcement forum would go a long way to helping people understand the situation. Well, I doubt you will see any official response in this discussion — but you never know. Usually the closest you come to an official answer is a request to report bugs on the dedicated bug reporting site followed by a closure of the discussion here.